To be a customer oriented agency of government-understanding and serving the customers within the means provided. To provide a quality and cost-effective highway system, which is a safe means for the movement of people and products throughout the highway system. To strive to increase the general efficiency and cost effectiveness within the organization. To provide and maintain an efficient, trained workforce with expertise, capability and capacity to meet the current and future challenges within our highway system. To provide a responsible level of environmental quality while serving the transportation needs of a growing population. Jim Mangan moved to Kootenai County in 1984 after retirement from the Marine Corps. He lives in the Cougar Gulch area with his wife Julia. Jim became a Worley Highway District Commissioner in October 1999. Corinne Johnson was born, raised and still resides at "Valhalla", ("Heaven" in Swedish), property which was homesteaded by her Great Grandfather in 1895. 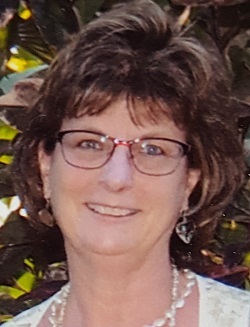 Corinne became a Worley Highway District Commissioner in July, 2017. George Miller moved to Kootenai County in 1957 as a child. He lives in the Worley, Idaho area. George became a Worley Highway District Commissioner in January , 2005. Kevin Howard has lived in Kootenai County his entire life. He resides on the family ranch outside of Worley, Idaho. Kevin has been employed by the Worley Highway District since April, 1988.